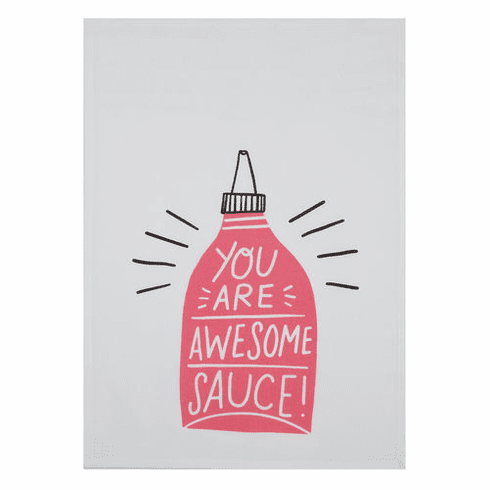 You are Awesome Sauce 100% cotton kitchen towels is a fantastic gift for anyone who needs this daily reminder (don't we all?) A fun addition to anyone's kitchen! Towels measure a generous 18 x 25"